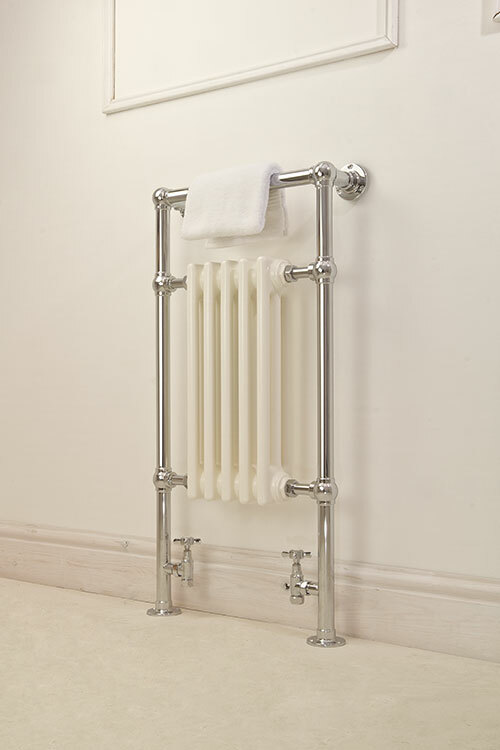 This British made bathroom towel radiator is very nice quality and is styled on an old English traditional design from an earlier age. 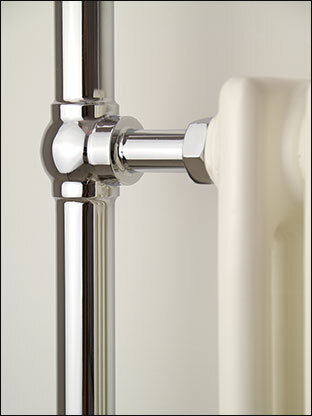 This traditional towel warmer is manufactured in stainless steel tubing with a choice of a chrome, nickel, gold, copper and brushed or polished brass plated finishes which are far superior in quality and longevity of the inferior steel versions. 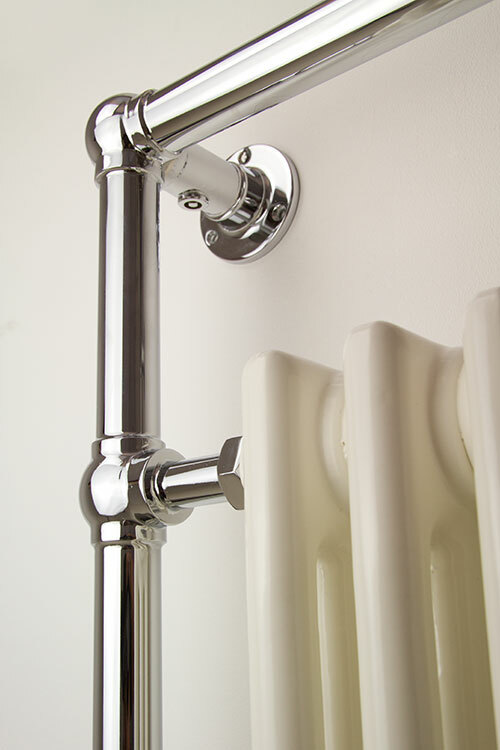 With its integral white radiator this towel warmer gives a superior heat output that is required in some bathrooms. 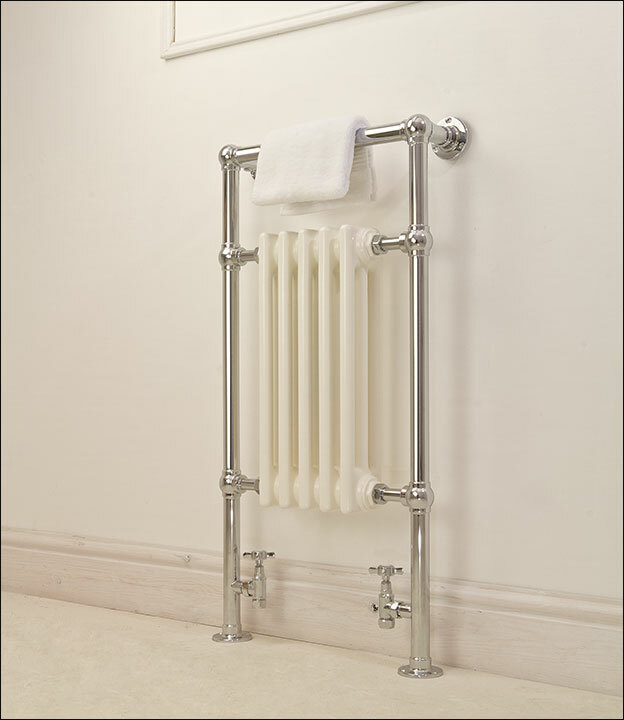 The Charleston heated towel warmer is available in the finishes of chrome, nickel, gold, copper and brushed or polished brass. 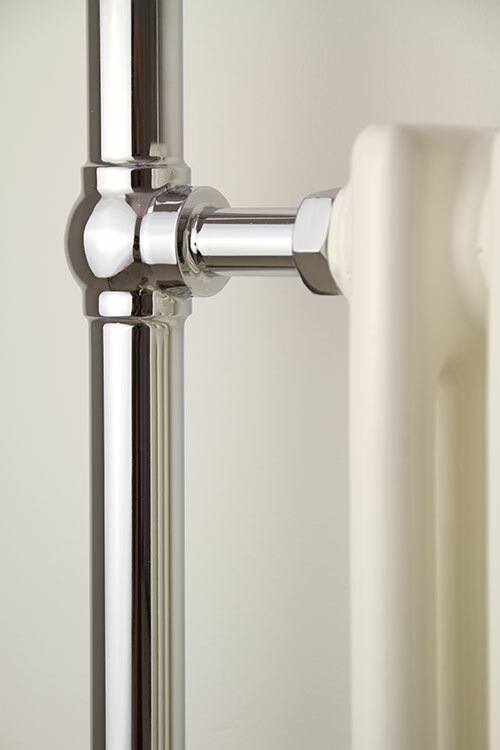 • Central heating, dual fuel and electric formats. 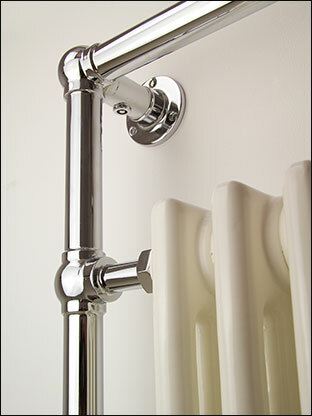 • Nickel, gold, copper and brass finishes available. • Bespoke sizes available to special order. • Price includes U.K. mainland delivery.